The SRALT (Short-Range Air-Launched Target), also known as Hera-SRALT, is essentially an air-launched single-stage derivative of the Coleman Aerospace Hera ground-launched missile. It launches ballistic targets to support tests of DOD's various anti-ballistic missiles. SRALT was developed by Coleman to provide a target vehicle, which could easily be used anywhere in the world and launched at arbitrary altitudes and directions. The SRALT is a single-stage solid-fueled rocket, which uses surplus Aerojet SR19-AJ-1 2nd stages of retired LGM-30F Minuteman II ICBMs. In the first SRALT test, the missile was placed on a cradle, and extracted by parachute from the cargo bay of a C-130 Hercules aircraft. After descending to a safe distance from the C-130 and releasing the cradle, the missile was fired and successfully flew along the planned trajectory. The SRALT has since been used once (in August 2004) to provide a target for a test of an Arrow-2 interceptor missile. On this occasion the SRALT was carried aloft in a C-17 Globemaster. 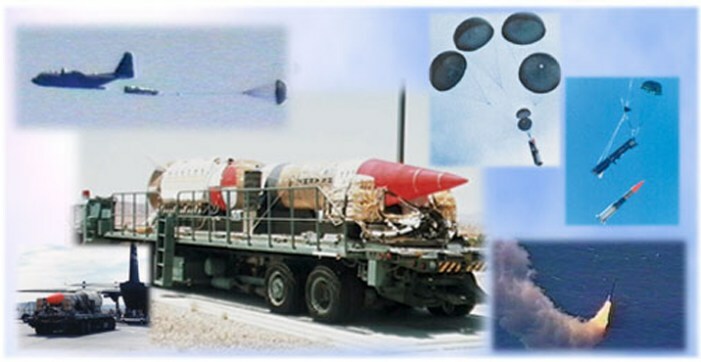 The LRALT (Long-Range Air-Launched Target) is conceptually similar to the SRALT, but is a two-stage vehicle using two SR19-AJ-1 rocket motors in tandem. It is air-launched by a C-17 Globemaster aircraft, and is used by the Missile Defense Agency to simulate long range ballistic missile threats. After a demonstration launch in May 2004, the first operational LRALT mission occurred in September 2005, when the ICBM tracking capability of a ground-based AN/FPS-108 COBRA DANE radar was evaluated. No details about the SRALT's or LRALT's characteristics are available.